Occupies 13" x 49" x 57" of storage space. Full body construction (no shell). 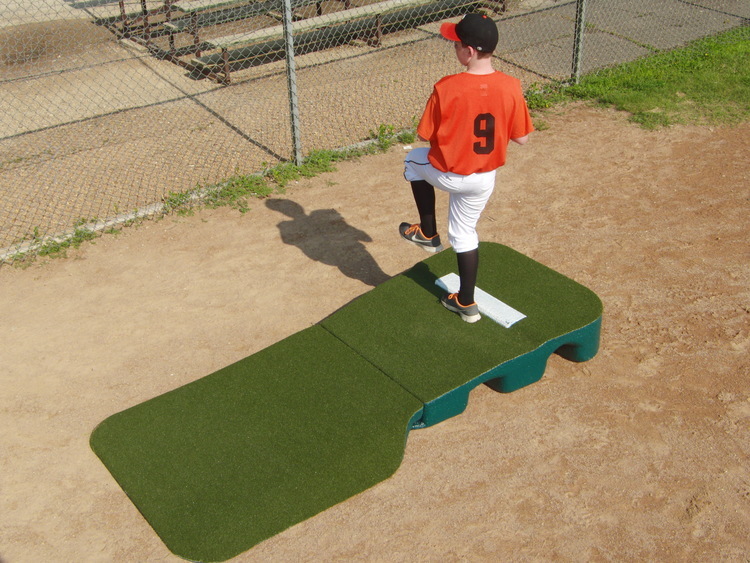 Allows pitchers weight to transfer directly to floor minimizing mound sliding during pitching practice.